I am making a gazpacho with balsamic glaze from the French laundry cookbook for my friend's birthday. 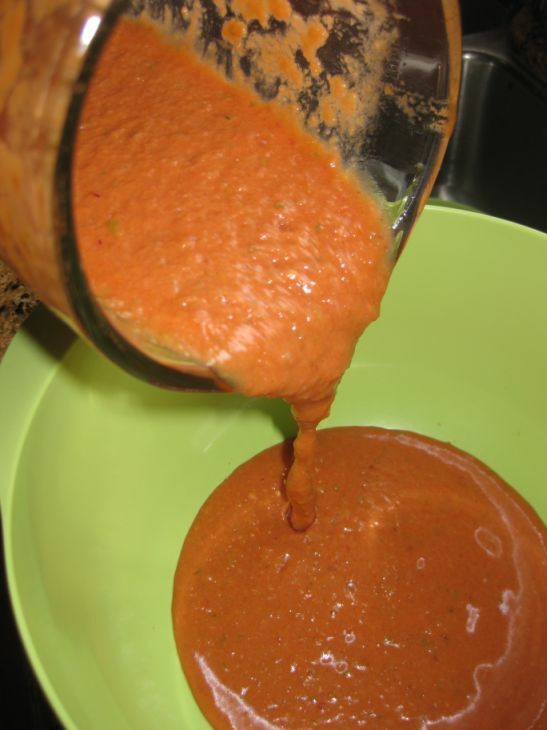 If you want a truly flavorful gazpacho, make sure to buy your vegetables at the peak of the season and your vegetables should be fresh and ripened. 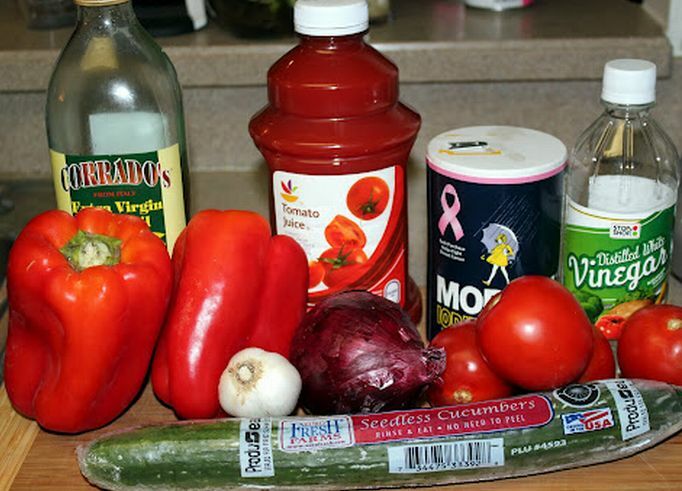 If your vegetables are not the best simply don't make the gazpacho, the taste will suffer! 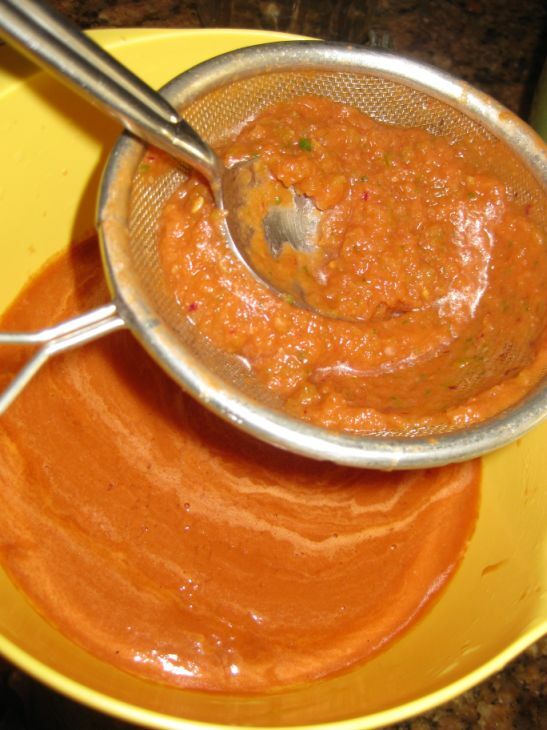 The combination of all the ingredients will become powerful simply by overnight maceration. The best is that there is no cooking involve. Prepare this the day before a party for a quick throw together before guests arrive. Thomas Keller from the French laundry urges us not to think of gazpacho as a soup but rather as a sauce and it can be served hot or cold. 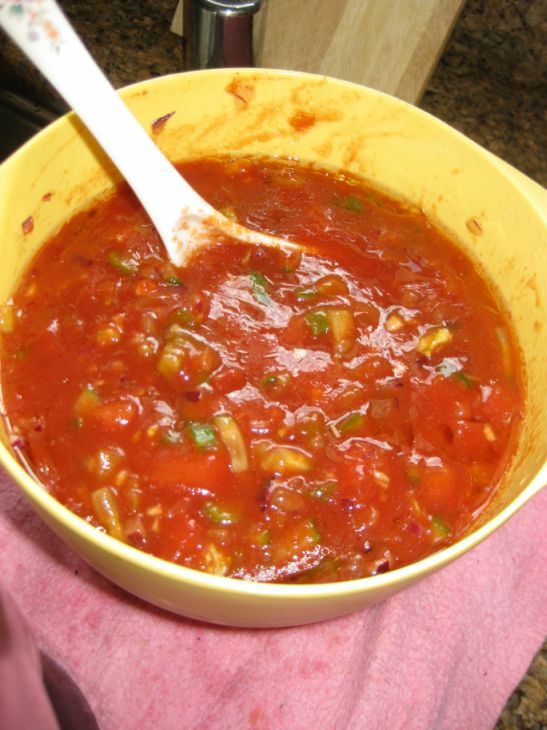 According to Keller Gazpacho goes beautifully with grilled chicken or fish. Here I am serving it as a cold soup. 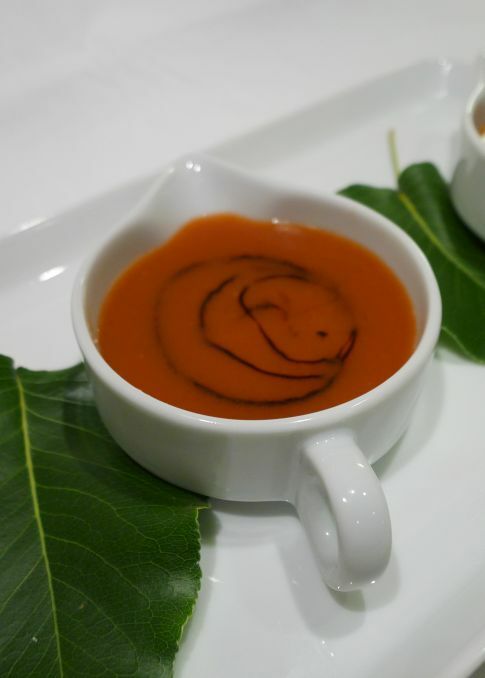 Balsamic glazed is drizzled on top of the gazpacho creating an interesting swirl! 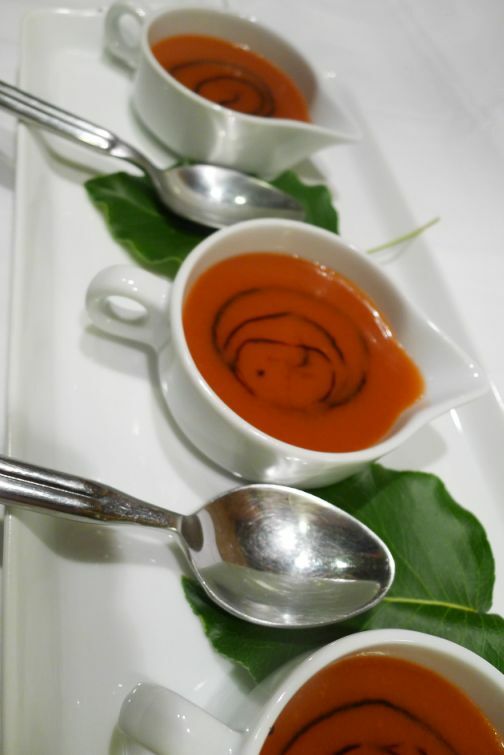 I served this dish as an amuse bouche but you can definitely serve it as a soup and in that case just use a bigger bowl. You can also serve them in a shot glass to start with. 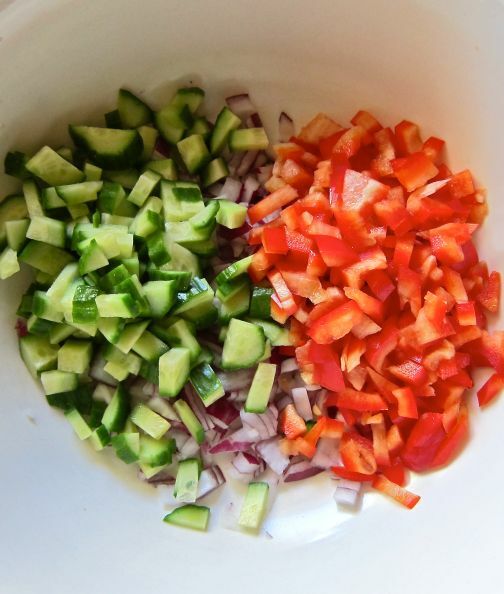 Chop all the vegetables and put them in a large bowl. Pour all the remaining ingredients in the bowl on top of the vegetables with the exception of the balsamic vinegar. The next day put the ingredients in a blender and whiz until smooth. You might have to do it in a few batches. Pour the soup into a large bowl. Refrigerate and serve it as it or for a smooth texture you will need to strain. I wanted a smooth texture so I strain the soup. Refrigerate until ready to serve. You will have about 1 quart. 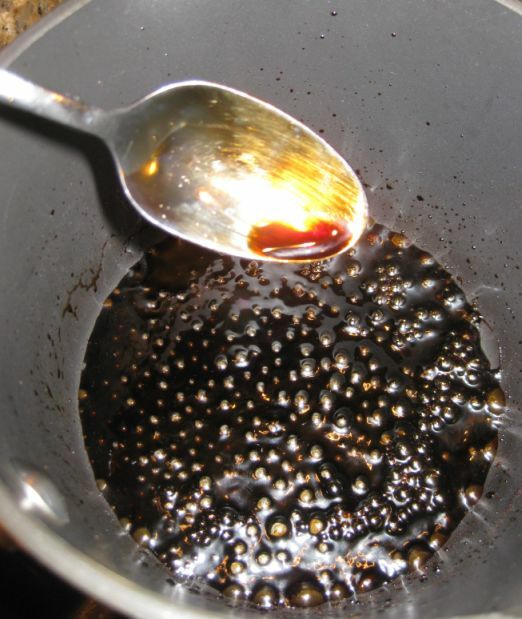 Heat the balsamic vinegar in a heavy saucepan over medium heat. 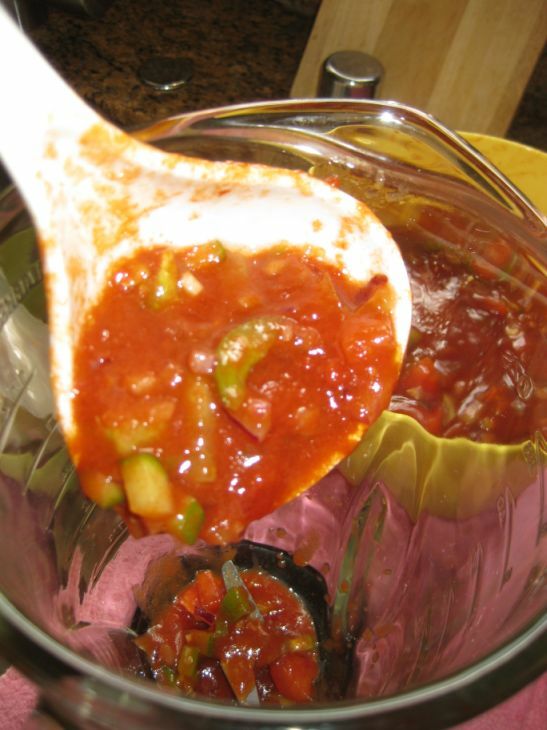 Turn the heat to low and let it simmer and reduce to about 1/2 cup. It will take a few hours to reach the correct consistency. The idea is to reduce it slowly and gently so that it results in a much softer and tasting glaze. If you boil too hard the acid will remain and make the glaze too sharp.